The equipment is packed and ready to be sold, just three members of the workforce remain and it appears the end is in sight for the Kevin Kalkhoven/Jimmy Vasser-owned race team. David Malsher assesses the squad’s 14-year legacy. KV Racing Technology leaves behind mixed memories of an Indy car outfit that threatened its best rivals only on an inconsistent basis, but which helped prop up the Champ Car World Series in its final years and also fanned the flames of interest in a couple of main players from recent U.S. open-wheel history. To recap for a moment… CART was brought to its knees in the winter of 2002/’03, following an exodus to the rival Indy Racing League by Chip Ganassi, Michael Andretti, Mo Nunn, Honda and Toyota. The only way it survived the following season was the rapid formation of new teams, and a contract for spec engines from Cosworth. Rocketsports Racing, owned by Paul Gentilozzi, added Champ Car to its successful Trans-Am program and hired ex-Forsythe driver Alex Tagliani. Emerson Fittipaldi joined forces with a businessman named Jamie Dingman and selected Tiago Monteiro. 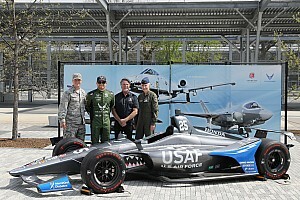 F1 and Indy car veteran Stefan Johansson set up American Spirit Team Johansson, in whose glorious colors 1996 champion Jimmy Vasser and star rookie Ryan Hunter-Reay would race. And Jacques Villeneuve’s manager, Craig Pollock, formed a team with Kevin Kalkhoven. This new venture, PK Racing, made an inauspicious start in life, its first six races in the 2003 season proving only that Patrick Lemarie (remember him?) was in over his head in 750hp, fat-slicked monsters. Through the second half of the season, Max Papis and then Mika Salo would start to prove the strength of the team, the latter scoring a couple of top-five finishes including a podium at the Miami street race. 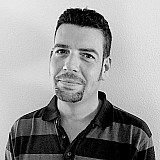 Pollock, who had managed Lemarie, departed the team at season’s end, leaving Kalkhoven needing a ‘P’, as the joke went. He succeeded in bringing on board his business partner Dan Pettit, and added some strong racing heritage by also signing Vasser, as both minority partner and driver. But Kalkhoven spent that winter also occupied with rescuing the series, as CART went bankrupt. He and fellow team owner Gerry Forsythe bought out Cosworth and Pi Research to ensure engine supplies for the series, and established Open Wheel Racing Series LLC, which was then awarded CART’s assets, defeating IRL series owner Tony George in court. The new ‘Champ Car World Series’ received a gut punch on the eve of the 2004 season when both Adrian Fernandez and Bobby Rahal took their teams to the IRL, but CCWS did still manage to rustle up 18 cars for the season-opening Toyota Grand Prix of Long Beach in 2004, largely due to RuSPORT graduating from the Atlantic Championship to Champ Car, and other teams expanding. One of these was the rebranded PKV Racing, which had Roberto Gonzales in the second car. Unsurprisingly though, it was Vasser who made the big scores, ending the year with five top-five finishes, including runner-up in Toronto, and taking eighth in the title race. He would improve on this to take sixth in ’05, although it was new teammate, F1 refugee and 2002 CART champion Cristiano da Matta, who would score the team’s first win, in Portland. With 40-year-old Vasser electing to retire from fulltime racing at the end of that season, series veteran Oriol Servia and rookie Katherine Legge became PKV’s new drivers for ’06, but the team struggled for consistency amid stiffer competition from such as Newman/Haas, Forsythe, RuSPORT and Walker Racing. Employing Neel Jani and Tristan Gommendy for the first (and only) year of the new Panoz DP01 chassis in 2007 scarcely improved matters, despite team manager Mark Johnson improving both the personnel lineup and the interaction between team departments. Jani was clearly very talented, but needed a veteran with whom to exchange data and directly learn the brutal techniques required to master a Champ Car on street courses. Had he been teamed with Servia all season, the team might have stolen a win or two. That winter, Kalkhoven came to the firm decision to stop investing large eight-figure sums into propping up the series, and reached an agreement with Tony George to reunify U.S. open-wheel racing. A dozen years of confusing the general public, breeding ill will between the series’ respective fans, and hemorrhaging money was coming to an end. Pettit quit the team at the end of ’07, and the rebranded KV Racing's abrupt recruitment of Walker Racing’s ace Will Power and reclamation of its Aussie Vineyards sponsorship (which, to be fair, was Kalkhoven’s money) in hindsight looks nothing more than an aggressive business move, but created a lot of ill will at the time. Walker had sunk $2m into his team in 2007, expecting a third party to provide the promised investment. Trusting and then losing that investor effectively killed Walker’s open-wheel team, and personally left him at the bottom of a big financial hole from which he took several years to extricate himself. Appropriately, Power won for KV in the last ever Champ Car race, the 2008 Toyota GP of Long Beach, and the team would prove to be the second best of the ex-Champ Car squads (behind Newman Haas Lanigan) at learning the IRL cars which became the spec equipment for the unified series. The re-hired Servia was solid and frequently fast; Power was superfast but mistake-prone, responding badly to the near-constant threat of losing his ride as the planned expansion of the Australian funding never came to fruition. To this day, Vasser regrets losing such a dynamic driver lineup; certainly the team never found a better pairing. Over the next two years, Mario Moraes, EJ Viso and Takuma Sato punted and shunted their way to a largely forgettable series of results, and KV only gained some sense of direction from its driving force when former series champion Tony Kanaan arrived in 2011. He’s highly demanding, TK, and can be divisive in that typically selfish way that distinguishes most racing champions, but his hardheaded approach was exactly what the team needed. He'd bring KV nine top-three finishes over his three seasons there, and famously win the 2013 Indianapolis 500. 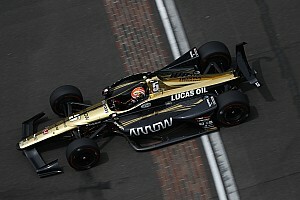 Kanaan’s solid veteran status also allowed the team to experiment with far less experienced but high-profile teammates such as Rubens Barrichello and Simona De Silvestro, albeit with predictably mixed results. 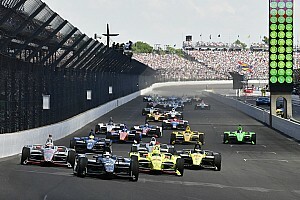 When Kanaan departed for Chip Ganassi Racing, his place as core driver was taken by Sebastien Bourdais who delivered four victories over the last three seasons. Unfortunately these were always one-off performances – Seb scored just one other podium finish over this period – and so in the year-end points standings, he was clocked 10th, 10th and 14th. Last summer, Bourdais was informed that again the team would probably close over winter, and may not fire up again until February. The seventh-most successful Indy car driver of all time made alternative arrangements with Dale Coyne Racing. As of right now the team he left barely exists. Covering the final three-and-a-half years of Champ Car’s existence, I found Kevin Kalkhoven to be someone who laid his soul bare to an almost awkward degree, but always off-the-record. So although he provided me with some terrific and sometimes worrying insights into life as owner of a racing series, frustratingly, I could often write very little about it. Nonetheless, to this day I appreciate that he welcomed my coverage of the series and opened my eyes to the machinations and polemics. And, it must be said, I initially shared Kalkhoven’s belief that eventually CCWS would triumph over the IRL, despite lacking the immortal Indianapolis 500. By the same token, I also completely understood when he cut his considerable losses, gave up on that dream and signed a deal with Tony George to unify the two factions. Kevin was 59 years old back when he'd saved CART’s assets, yet looked 69 within just a couple of years, worn down by the battle with a rival series, by certain team owners constantly looking for handouts (and holding the whip hand because the series was so desperate for entries), by some conniving race promoters and by the messes left by a parade of clueless seat-fillers within Champ Car management. Yup, if Kalkhoven had a flaw, it’s that he seemed a bad judge of character, smiling favorably on both peaches and leeches. This benign naivety – or maybe unwillingness to say no – has always bewildered me, for Kevin is a hugely successful businessman outside of racing, and I’d therefore assumed that behind his genial demeanor hid a ruthless operator. I guess maybe in becoming a multi-millionaire he’d never encountered an environment so densely populated with frauds. What I do know is that in the course of his job as head honcho of Champ Car – along with quiet new partner Gerry Forsythe – Kalkhoven often put too much faith in people whose behavior varied between capricious and repellent. A couple of times when a disgruntled member of the Champ Car community would tell me KK was talking BS, I’d defend him. My take was that he too often made promises that were entirely dependent on the good intentions and/or ability of others; then, when they failed to deliver, it was Kalkhoven left playing high-profile fall-guy. Inevitably, this excuse couldn't work forever, and he should have learned to be more skeptical. I’m still not convinced Kevin’s radar can distinguish between the honest folk who would truly bleed U.S. open-wheel racing, and the crooks who would bleed it dry. Thankfully he was able to scrape off the worst of these charlatans post-unification and over the course of ’08, now purely (in racing terms) a team owner with no need to keep other team owners happy or funded, Kalkhoven looked content and stopped ageing. 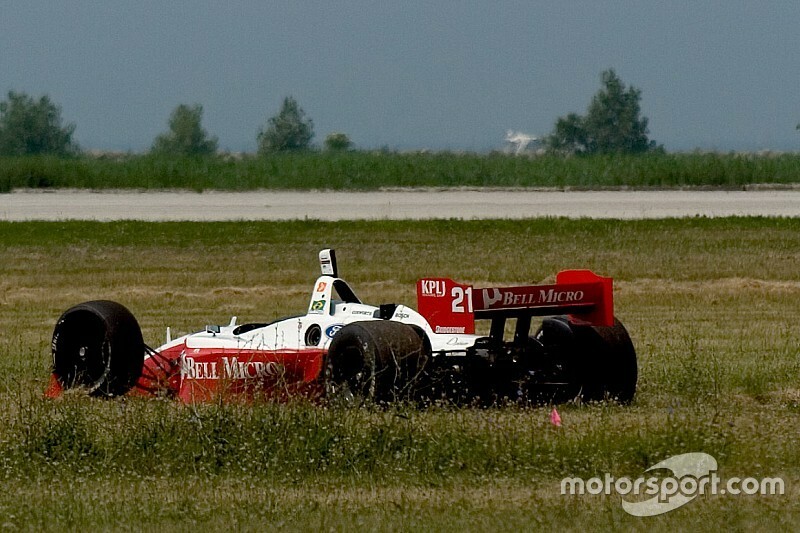 Like most CCWS fans, I hated the fact that the open-wheel merger looked very much like a takeover – not only were the beautiful and aggressive Panoz DP01 and its Cosworth turbo engine rendered obsolete in favor of the IRL’s gawky-looking, obnoxious-sounding Dallara lawn-dart, but some fine CCWS venues disappeared, too. Nonetheless, I stand by my beliefs that 1) the two series had to merge to survive in any meaningful sense, and 2) the global recession less than a year later would have forced unification anyway. While I back Kevin over that momentous decision, I still find the Walker episode distasteful – at the very least, DW was left in the dark and in a deep financial hole – but I grudgingly accept that it was Kalkhoven’s prerogative to redirect that money to his own team, and that it was the third party who didn’t come through with his side of the deal who should shoulder most of the blame for the demise of Derrick’s squad. Still, don’t we all have a couple of ethically questionable episodes in our past? More pertinent is that Kalkhoven shares another common trait with thee and me – he was truly bitten by the motorsport bug. During chaotic weekends of being pulled every which way, you could tell Kalkhoven found rare moments of serenity and absorption standing atop the pitbox of KV Racing, a team that was born of necessity but never regressed to being merely a vanity project. Had such been the case, Kevin would have simply kept plowing more money into it – and several people questioned why he didn’t, when he could clearly afford to do so. The answer was simple: he was a businessman trying to run KV as a self-sustaining business, and using his own money to make up a budget shortfall wasn’t a longterm solution. Of course the flipside of that perspective was the Catch-22 situation it created – saving money by sending KV into winter hibernation meant it could never gain ground on IndyCar giants such as Penske and Ganassi, and so the struggle to attract backers continued. If this is the end for KV Racing, a legacy of seven wins and 22 podiums over 14 years doesn’t sound great. But KV was regularly populated from top to bottom by good, hard-working people, so it’s pleasing that Tony Kanaan, Chevrolet and fate helped deliver an Indianapolis 500 victory, and I’m saddened that some of those decent folk are still seeking jobs. Vasser, I’m sure, can find a role elsewhere within IndyCar: he’s a strong strategist who makes brave on-the-fly decisions. And from my purely selfish point of view as a writer, I find him an honest and amusing interviewee, whether we’re talking about his own driving days, his team’s performance or the sport in general. As for Kalkhoven, I hope he remains involved in IndyCar in some way, too. If not, I’ll miss his magnanimity, his gossip, his bluntness… and the chance to tease him about his still-crazy optimism. I recall him telling me after preseason testing in 2015 that in Stefano Coletti, he thought the team had at last found its new Will Power. Then, through the course of the season, Bourdais repeatedly demolished his new teammate while Coletti repeatedly demolished his car. And Kevin’s misplaced confidence continues to this day: what else could lead him to believe that running Pastor Maldonado is the answer to anything other than the prayers of Dallara’s accountant? But let’s also acknowledge the fact that Kalkhoven jumped into the sport with headfirst commitment, fought hard for a cause that certainly seemed legitimate at the time and spent countless millions helping others earn a living. Since ’08, he has had ample opportunities to walk away from motorsport, but instead has invested yet more time and money into it, even aside from propping up his team for so many years. He and Forsythe bought and safeguarded the Grand Prix of Long Beach, IndyCar's second most prestigious race. They also bought, invested in and expanded the reach of both Cosworth and Pi Research, to the point where the former will soon have a new manufacturing facility in Michigan, that should end up employing hundreds of workers. So Kalkhoven, now 72, has paid his dues in the sport, but I expect to see him return in a different capacity in the near future. Like I say, that motorsport bug bit hard. I suspect his next racing adventure will better suit his skillset; I hope its legacy better matches his employees’ endeavors.